Today we have the conclusion of my Reading List for 2019. If you haven’t read part one of my list, you can find it here. This book is a suspense YA book set in 1920s Hollywood about orphaned twin girls who discover a dangerous plan that inexplicably relates to them. Arthur Slade is a writer from Saskatchewan, and the author of the series of books that brought me into the beautiful world of steampunk, so I’m excited to see a completely different style from Arthur Slade. Airman is one of my all time favourite books. Set in an era when heavier-than-air flying machines are all the rage, I fell in love with this book years ago, and I like to reread it every year. I picked this book up for two reasons. First, it’s by Jennifer A. Nielsen, an author I absolutely loved for a middle grade novel she wrote while I was in elementary school. Second, it’s got the word Traitor in the title, and I am a sucker for novels that have traitor themes. Not only that, the book cover is stunning. This book was published in 1861, it was written by George Eliot, and it often appears on those lists of books to read before you die. I know nothing else about the book, but a friend recommended it as a great book to read, and it fit perfectly into my list, so here we are. Philip Reeve has been in the spotlight lately for his Mortal Engines books that were made into a movie, so I was pleasantly surprised when I received Rail Head as a book to read. The tagline I was given is basically that the book is about sentient trains in space. The premise was enough to grab my intrigue, and I’m excited to read the book based on that knowledge alone. 12. A book that teaches you how to do something new—?? I haven’t selected this book yet, but I’m open to suggestions. I’d like to learn something really random so I can teach a book character how to do something new. 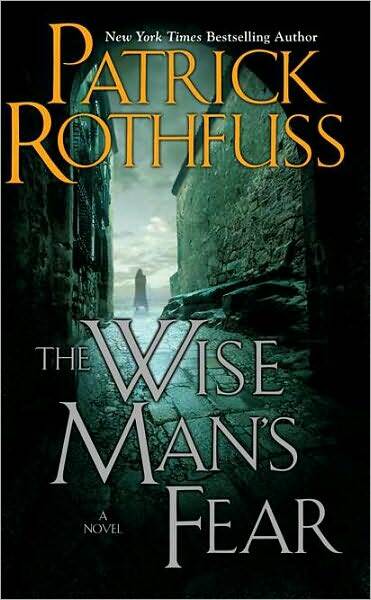 This is the second book in a trilogy by Patrick Rothfuss. I was originally waiting for the third book to come out before reading the second book so I could read the whole series all together, but last time I checked, it was 2015 and there was no release date. As of 2017, there has still not been any word on when the book is coming, so I’m taking the plunge and going to read this massive 1000 page novel. The story is basically (basically, as if a 400,000 word story can be summed up in a single sentence) day two of three during which the protagonist, a retired adventurer who now leads a quiet life as an innkeeper, recounts his life’s story to a scribe who is furiously writing down the adventures and misadventures of the legendary hero. The world Rothfuss has created drew me in immediately. It was a lived in world that breathed and grew with the characters, and I can’t wait to dive back in. If you’ll remember from the interview I did with her recently, Chrissy has just recently published her second book. Lion Cubs, Chrissy’s first book took me through an emotional rollercoaster as I ached with her characters. I’m very excited to see what she has in store for this second book! That’s my list for this year. I’m excited to be reading a wide range of new and old books from authors I love and authors I’ve never heard of. Want to join me on the reading challenge? What books do you want to read this year?